An ideal way to approach lessons in the Alexander Technique is to come with a clear intention to learn more about both your unconscious habits and your innate kinesthetic use. Once you realize you are doing something habitually and it is interfering with your innate use, it will be much easier to give up the unnecessary mind/body tensions and habits, which then allows your innate use to carry out the activity in a new way. You can’t do something you don’t know, if you keep on doing what you do know. There is no such thing as a right position, but there is such a thing as a right direction. Control should be in process, not superimposed. My private lessons run 60 minutes and cost $60. To schedule a lesson please call 952-476-0341. My policy is all scheduling, rescheduling, and any cancellations are done by phone (and not by e-mail). Please wear loose comfortable clothing for a fuller range of motion, especially in the shoulder and hip joints, and socks. Softer fabrics (rather than denim) are best. Note: There is an upright piano available for students who are pianists and singers in my teaching studio. Have you wondered what the Alexander Technique is? Or would you like to know more about the Alexander Technique? Come join us as we explore this 100 year-old technique that can help you: recover and integrate your innate mind/body integrity; learn to release unnecessary psychophysical tension and stress that may cause discomfort and injuries: enhance the quality of your life and performance with ease and poise, while responding to life’s many challenges. Classes include individual instruction within a group setting focusing on a variety of daily activities and each student’s special interests. Students also receive one 15-minute private lesson. 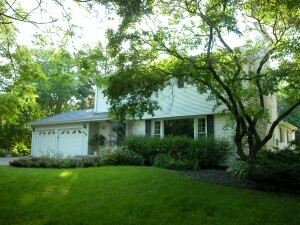 For more information, call Lisa at 952-476-0341. 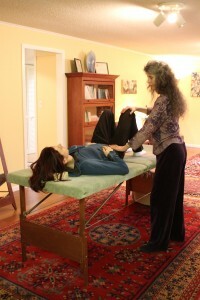 I offer a complimentary introductory lesson for doctors, chiropractors, sports medicine physicians, physical therapists, acupuncturists, nutritional counselors, massage therapists, fitness instructors, personal trainers, and other health care professionals who would like to learn more about the Alexander Technique and the benefits it might offer their patients and clients. 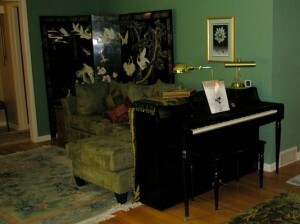 Photograph of Lisa’s piano and home are by Lisa Galbraith Heyl.